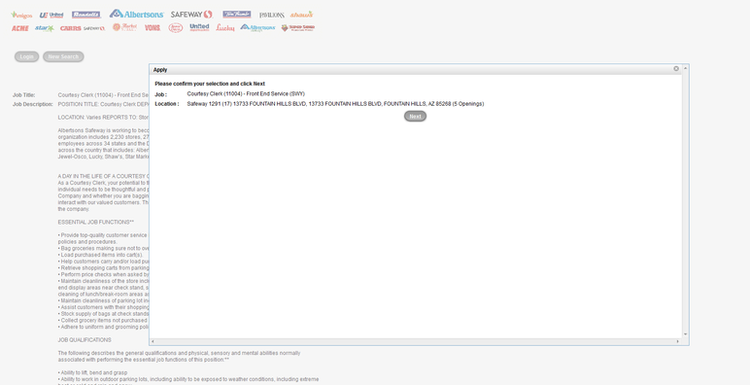 Open the official site and scroll down, until you find the career part which was marked in red rectangle. Click on it to move on. Vons is a related brand of Safeway. 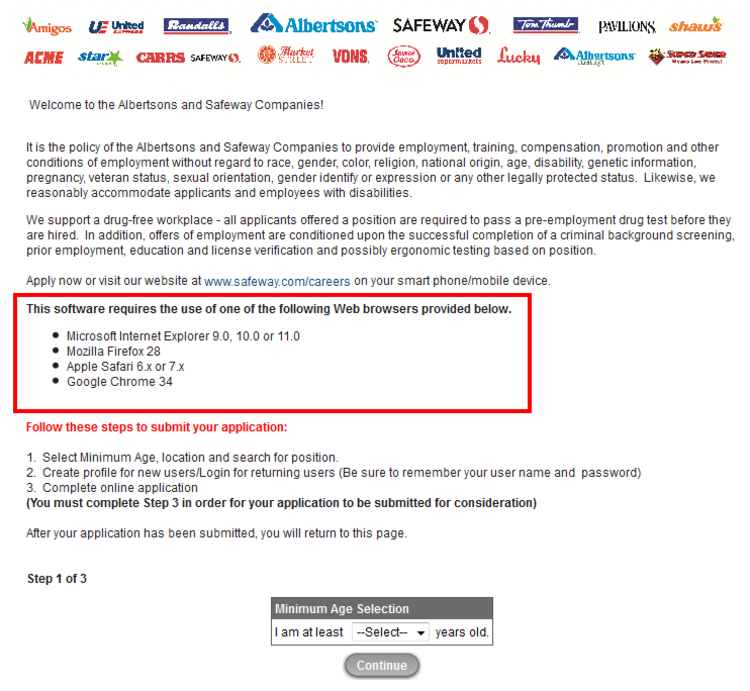 So you have to apply jobs on Safeway’s site. Click on the pull-down menu to choose which area to work in. Make sure your PC requirement is qualified for this online application, or else the application might be shut down at any time. Select your minimum age to start your applying. 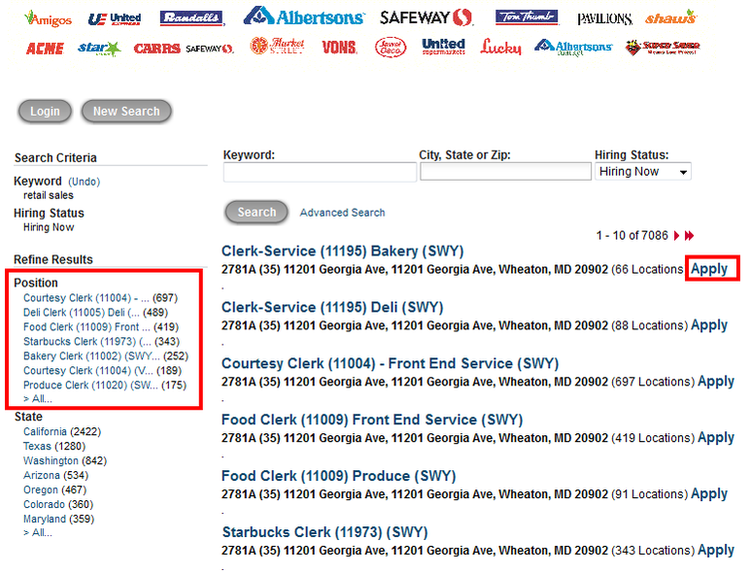 Please search any position titles you want to apply, type your zip code to locate your state and city. Choose the status of positions you would like to consider: hiring now or hiring soon. There are a lot of positions being displayed, you can refine your search by clicking the locations and state on the left side. Choose a position after your comparing. You can read the job description and some details about this job, then a white dialog box skips out to ask you whether to add more positions which near the current store you are applying. 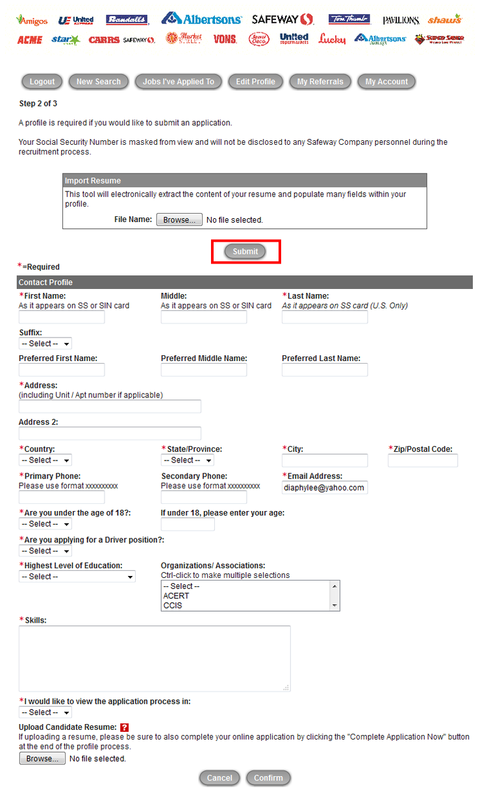 For convenience some applicants check some boxes, for focusing you don’t have to. 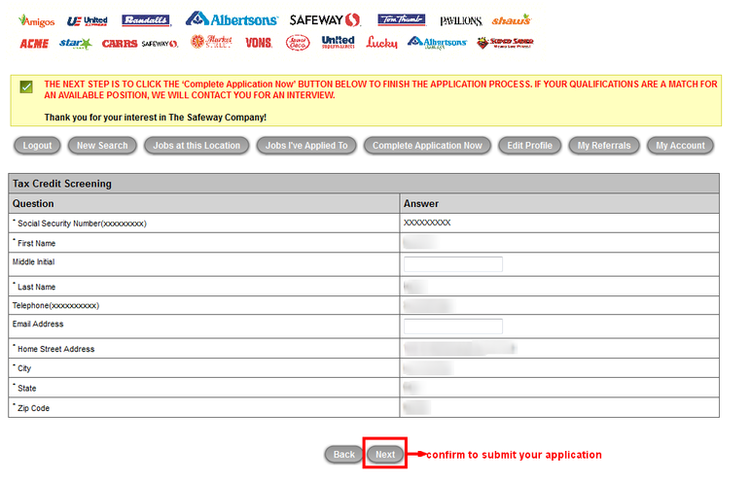 Go to the apply button after your consideration, and confirm the information if everything is alright. 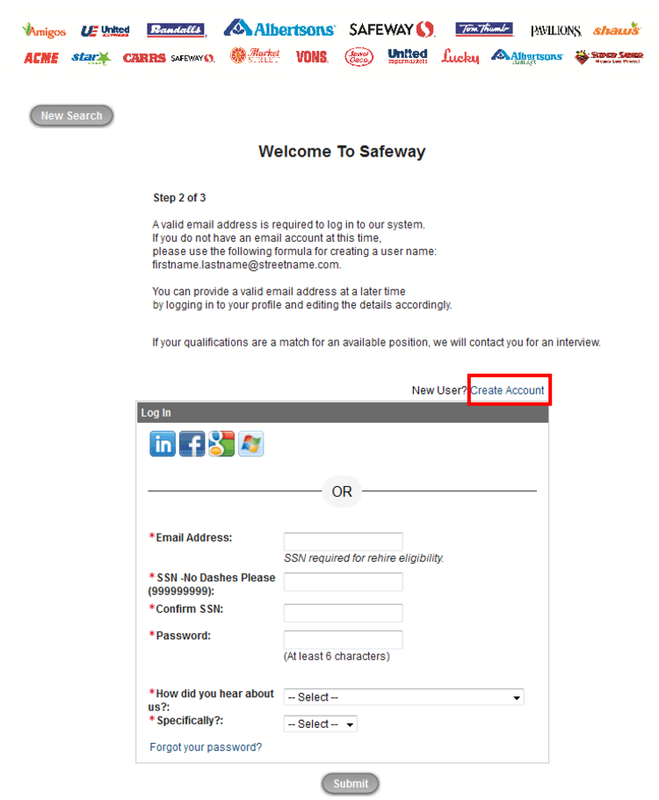 There are two choices of uploading CV offered here, you choose to browse your resumes and import one from your computer, or create a profile manually on the site. To complete your application, you still have self-identify page, pre-employment questionnaire page, finish these two steps and confirm your information. 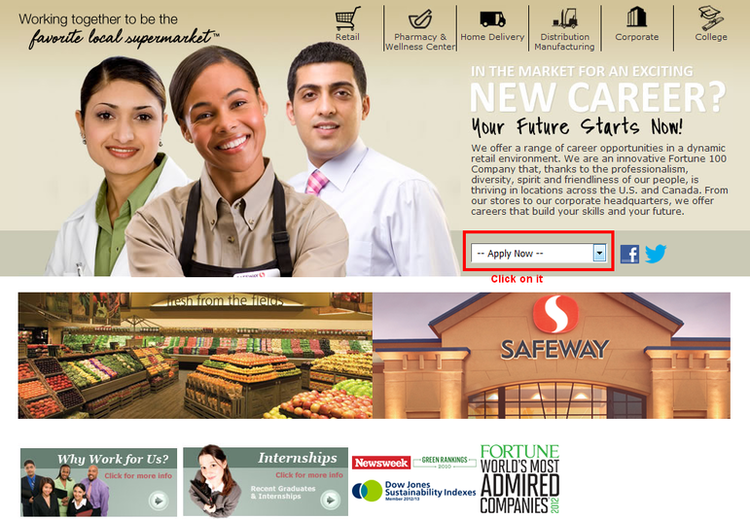 Here, when you see this page means you successfully applied. 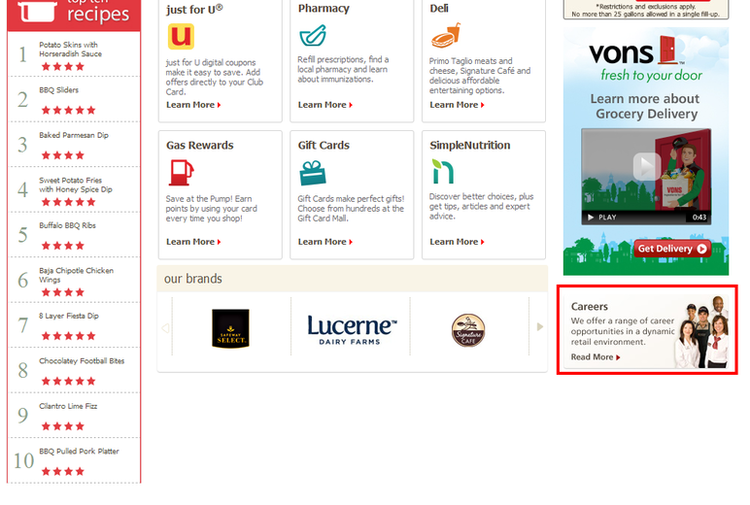 Click vons.com/careers to apply for Vons jobs online.